Trivandrum, 27 September 2012: Now you can track the status of complaints filed at police stations in Kerala online. The “Know your FIR Status Online” service has been launched by Shri. Thiruvanchoor Radhakrishnan Hon'ble Minister for Home & Vigilance yesterday. A person who wants to track or know the status of their FIR can access the Kerala Police website (keralapolice.gov.in) and click the link ‘Know your FIR Status’. Any one of the information such as FIR number or name of the petitioner or date of registration of the FIR has to be given to access the details. The status of the case, including the acts and sections involved, contact details of the investigating officer, name of the filing court, and case details, etc are available online. Cases registered at police stations will be recorded through the Daily Crime Reporting and Monitoring System (DCRMS) and the details are conveyed to the public through the interface provided in the Kerala Police website. The online system will enable senior officers to monitor the progress of the investigation. The details on the website will also help the police to track crime cases. 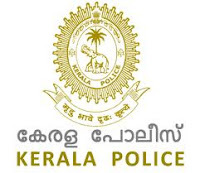 This facility is being provided and maintained by the Police Computer Centre, State Crime Records Bureau of Kerala Police.